Bruce Winningham, 62, of Marcella passed away January 28th, 2017. He was born September 16, 1954 to O.W. (Othar) Winningham and Georgia Lee (Hopper) Winningham. 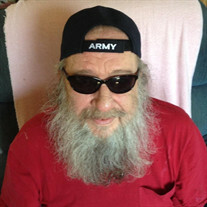 Bruce was an Army Veteran who served in Germany. He was a member of the Church of Christ. Bruce is survived by his son, Dalton Winningham of Marcella, a granddaughter Faith Floyd of Cave City, one brother, Tommy Winningham of Marcella and one sister, Judy Swaim and her husband Chuck of Locust Grove, two nieces Cynthia French and family of Batesville, and Ginger Moser and family of Batesville, three nephews, Shane Swaim and family of Locust Grove, Lile and Guyton Winningham and their families. He was preceded in death by his parents, Othar and Georgia Lee Winningham, his son, Jeremy Floyd, sister, Janet Winningham and brother, Keith Winningham. Gravesides services will be Tuesday, January 31, 2017 at 2 PM at the Evett Cemetery of Marcella. Pallbearers include: Tim Winningham, Sawyer Swaim, Dwayne Patterson, Tim Thomas, Bailey Winningham, and Bill Patterson. Honorary Pallbearers include: Ronnie Taylor, Odis Vickers, and Larry Henderson. Arrangements by Willis Funeral Service.